LeBron James lets his kids drink wine—would you? Resident parent chiming in here: Yes, I know many of the arguments on both sides. Kids in France have wine with lunch. 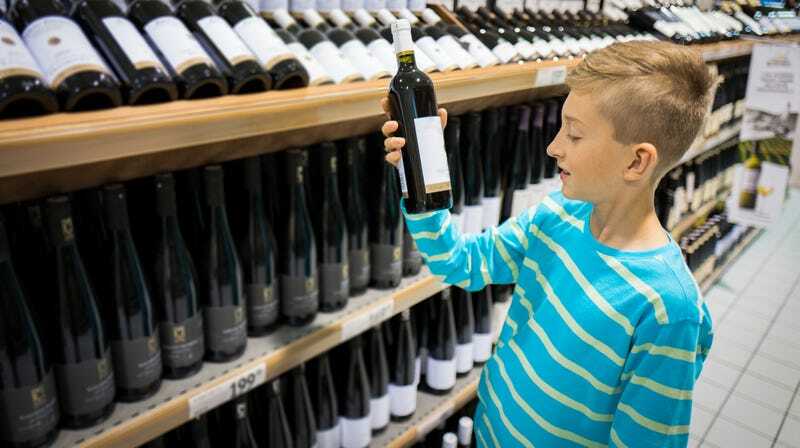 Letting kids drink early helps de-mystify alcohol, hopefully taking some of the prohibited fun aspect away from drinking. I have friends with teenagers who would rather have their kids get drunk now, at home, before going off to college, which can be a kind of drinking boot camp. If your kid is going to have their first puking hangover, better to have it in the comfort of their own home instead of curled up weeping in the corner of the dorm shower. Makes total sense. And yet: I’ve heard enough studies about how alcohol can have adverse affects on the still-developing brains of young people to try to steer my kids away from it for as long as possible. The latter part of the Post article backs me up, saying that “Some other recent studies have pointed to social harm to young people, such as predilections for binge drinking, as well as adverse affects on developing brains and other vital organs, from being permitted to imbibe even small quantities of alcohol as adolescents.” It astounds me to think of all the brain cells I likely killed in high school; I might be working for NASA instead of making peanut-butter-and-mayo sandwiches. I’m Sober Octobering, and recently my almost-12-year-old daughter offered her opinions on alcohol in support: “A liquid that you shouldn’t drive a car after you’ve had a few glasses of doesn’t sound like anything you should be drinking.” As much as I’d love for her to keep this philosophy intact through her upcoming high school and college parties, I recognize that that’s not realistic. So I will keep the door open as wide as possible for her to talk to me about alcohol. But I’m not about to sit down and have a glass of wine with her to normalize it and possible fracture those adorable brain cells that are just beginning to bloom. Ask Kate About Beer: What are dry-hopped vs. wet-hopped IPAs?